When you think about the subject of game preservation, what’s the first thing that comes to mind? A lot of people view it as amassing huge game collections. I should know because I used to think about it that way myself. Here’s the problem with that mentality, though: if game preservation is defined purely in relation to game collecting, then what criteria should be used to determine which games make the cut and which don’t? When I first met Joseph Redon, the chairman of the Game Preservation Society, I asked him just that, about how we were supposed to decide who would pick the games to preserve for future generations and how would they would then make those calls. The answer that he gave me really stunned me. I remember thinking it was a really tall order trying to preserve literally every game, albeit one worth pursuing. If such a vision was ever going to be achieved, it certainly couldn’t be done alone; it’d take the help and support of a lot of dedicated people to make it a reality. Knowing that, while I didn’t have anything special to contribute in terms of skills or even just the games I owned, I decided to join up with Joseph and his team anyway to try and make some sort of difference. 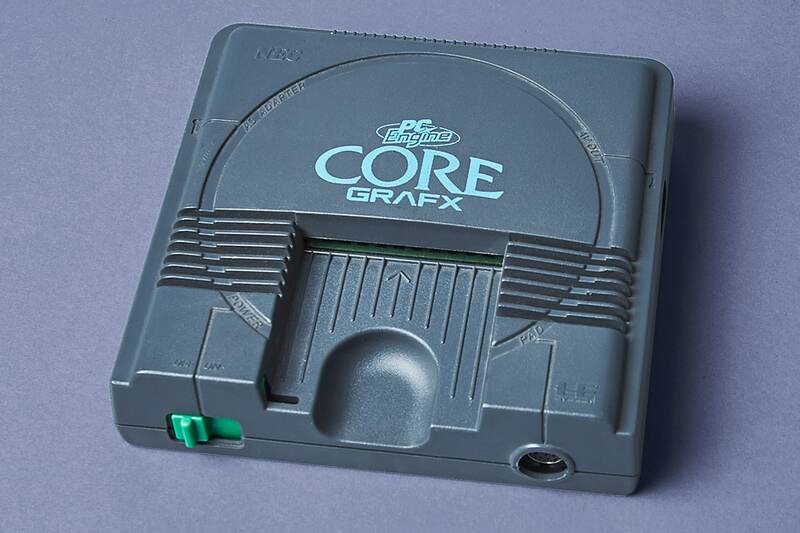 Years and years ago, I used to work at NEC Home Electronics and just by chance, I happened work with someone who was involved with designing the PC Engine. It’s not every day you meet someone who helped bring about such an iconic piece of video game hardware and it’s been something of a lingering dream of mine for a long time to be able to talk to them about their involvement. I first learned about the connection soon after joining the company. Back then, however, I had no published experience as a writer, let alone conducted an interview before, so I sat on that desire to interview them for a good 20 years or so. But after Joseph told me about his mission to preserve every game to such a definitive degree, I felt it was time to act and make that interview happen, seeing as how, again, preserving memories about games is just as important to us at the Society as preserving the games themselves. The timing for doing so couldn’t have been any better. This coworker of mine recently retired at long last and while attending their farewell party, I finally summoned the courage to ask them if they would be willing to discuss their history with the PC Engine. Luckily for me, they graciously accepted. The main thing I decided to focus on in the interview was how the planning and design process went for the PC Engine from NEC’s side. Much has been written over the years about the technology that Hudson contributed to the system and while that’s all well and good, I thought it was important to also discuss NEC’s side of the story as a collaborator, too, while the people involved with it are still around to talk about it. Numa: Were you interested in computers and games as a student? K: I was, yeah. I first came into contact with NEC working part-time for them writing demo programs and technical manuals designed for programmers. After I graduated from university, I ended up joining NEC full-time and from there, I was assigned to their PC division. Even when as a high school student, K was really into computers. He’d read all sorts of magazines about them, not just ones published in Japan, but from around the world. And after they started going to university, they joined a research society that was dedicated to amateur radio and computers. Not long after they entered that school, NEC released the PC-8001 and they went out and bought it immediately. Numa: So you were already interested in PCs just as they were starting to take off. K: Somewhat. If we’re being technical, I wasn’t exactly there from the very beginning. I missed the first generation of them, I guess you could say, by about three or four years. Numa: What about games? Were you into those at all? What did you think of arcades back then? K: Oh yeah, I was really into games, too. I used to go to arcades a lot to play stuff like Space Invaders. Those games could really eat into your wallet if you let them, so after buying that PC-8001, I actually made my own block-breaking and mahjong games, which was a lot of fun. Numa: What sort of work did you do once you joined NEC full-time? K: Like I mentioned before, I was initially assigned to work in their former PC division. I wanted to help make hardware, so I’d go around talking to third-parties about a variety of things, like what architecture we should go with next, whether the sound needed a boost. Things like that. Numa: What about sprites? What did you think about the limitations and how to improve those capabilities? K: When I first started, we were bound by two things: sheer cost and the limit of large scale integration technology. This meant that we couldn’t have sprites that overlapped one another. We had it by the time we got to the PC-88VA since that was a 16-bit PC, which had a modest sprite architecture powering it. Numa: Did you play the Famicom at all when that came out? K: Definitely. The company bought one as soon as that was out and I messed around with that, although that was mostly because it had the word “computer” right in the name, I’ll admit. (Laughs.) Of course, I ended up buying one for myself, too. To provide additional context to these remarks, when K first joined NEC, the first half of every work year at their division was spent on product planning, with the remaining time afterwards to doing programming for systems and other related areas. In 1985, their third year at the company, NEC’s PC division was merged with NEC Home Electronics, with K subsequently assigned to their personal electronics section afterwards. As the name NEC Home Electronics would suggest, that portion of the company was concerned with consumer level electronics, giving people like K easy access to video game consoles to play and examine during work hours. It was also around this time that the seminal Super Mario Bros. also came out, turning up the heat up on the nascent Japanese home video game industry. K: I don’t think this has been widely reported over the years, but in 1985, in a lone room inside its old headquarters, NEC set up a taskforce dedicated to getting the company into the game console business. This taskforce was made up of four people in all: myself, a member from the sales team, and two other people. The four of us spent about three months, all told, looking into what it would take for the company to enter the console market. During that time, we examined a lot about the Famicom, why it was so successful, what its weaknesses were, the business model behind it, things like that. In the mornings, we’d play Super Mario Bros. (Laughs.) Then in the afternoon, we’d go around talking to developers and publishers as we tried to formulate our battle plan. Not only were we trying to figure out what sort of machine we should make to surpass the Famicom, but what sort of strengths did we have as a company that we could put into this machine to really make it shine. When it came to our business model, we came to the conclusion that we couldn’t just reuse our existing practices with PCs part and parcel. Instead, we needed to bring in developers more closely and get them to work for our platform under a royalty-based system. On the hardware side of things, the easiest way we figured the system could stand out in contrast to the Famicom was by providing superior graphics and audio hardware so that developers could express themselves better. Given that NEC Home Electronics was also involved in helping to establish CD-ROMs as a storage medium, we also decided it’d be worthwhile to have our machine support those, as well. Numa: That’s amazing to hear you were all thinking of using CD-ROMs in the system as early as 1985. That’s really ahead of your time! Did you guys set out to execute your plans on entering the industry after deciding on all that? K: Yes and no. At its heart, in those days, NEC was still a device and equipment manufacturer at its heart, so for us, making a console back then meant that we needed to find outside collaborators on the processor and software side of things. So after the taskforce was disbanded, upper management at the company spent about a year seeking out partners that would be up to the task. Luckily for us, Hudson was also engaged in similar activities as us at the team, so we teamed up with them and Seiko Epson to get the job done. Once we had those two companies on board, that was when we got really serious about getting into game consoles, at which point I came back to help with more investigatory work. Having Hudson on board in particular was important to us. They already had experience developing games for the Famicom and knew that system inside and out. We figured that by combining that knowledge with our CD-ROM technology, we could create a force to be reckoned with in the marketplace. Numa: I guess now’s as good of a time as any to ask if you could clarify the meaning behind “PC Engine” as the system’s name. I know I read somewhere in an article before that the “Engine” part refers to how the console is structured around its hardware core. But does the “PC” part refer to computers like what NEC was working on? K: More or less, yes. PC, of course, was meant to refer to personal computing. It was part of the name because we wanted our machine to be about more than just about its games, to be a big part of people’s day-to-day life. Numa: A lot of people fondly remember the PC Engine for the quality of its arcade game ports. Was this something you guys deliberately planned for when formulating the system? K: That was more of a consequence of everyone at NEC wanting to push CD-ROM technology than a deliberate attempt at courting arcade game developers. It was a question of how we could clearly show consumers that our hardware was superior to the Famicom without making the PC Engine prohibitively expensive to produce. We gave the system what we could to justify the CD-ROM support, which in turned happened to make it friendly to arcade game ports, as well. Numa: It’s definitely a distinct approach when you compare the PC Engine to the Mega Drive, which was more directly based on arcade architecture at the time. K: The thing about arcade hardware back then was that it used expensive memory modules willy-nilly, but if you tried doing that with consumer hardware, it’d make the purchase price jump up considerably. When it came to the architecture behind things like how sprites on the PC Engine worked, that was Hudson’s work and in my opinion, their insight gave us the best hardware design on that front that we could ever hope for at the time. Numa: Even still, considering the system sold for 24,800 yen, I remember thinking it was an expensive piece of technology, even more so than the Famicom back then. K: It’s worth pointing out that even at that price point, we weren’t making any profit on the hardware. Software royalties actually helped us lessen the blow. If we had tried to recoup our research and development for the hardware directly through the console, I bet you it would have come in at somewhere around 50,000, maybe even 70,000 yen. 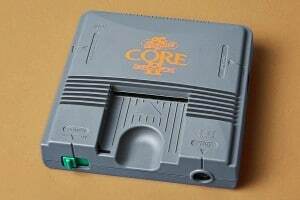 Numa: I think one of the things that makes the PC Engine so fascinating today is how many different variations just based on the core console there are. Were things like the SuperGrafx designed with the Mega Drive and Super Famicom in mind? K: Not particularly, truth be told. NEC in general had a history of providing different grades of hardware from low end, entry level stuff to more high end products that were designed for enthusiasts. Things like the SuperGrafx were essentially an extension of that philosophy. 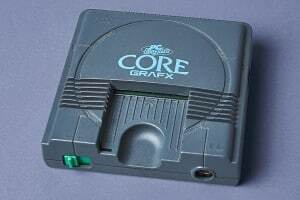 Numa: On a similar note, one thing I always found curious was why you could find PC Engine hardware embedded in things like Sharp’s X1 Twin, but not in any of NEC’s own computers. Why was that? K: The problem with integrating something like a PC Engine into a more typical computer is that you have to develop multiple motherboards in order to properly accommodate the different hardware on both ends. Our idea to get around that was to integrate the PC Engine hardware inside a PC monitor instead and bypass the issue altogether, which we did with the PC-KD863G. In the case of the X1 Twin, I’m pretty sure Sharp had the two sides operate in isolation of one another in order to circumvent that same issue. Numa: The LD-ROM² is also a really interesting beast. That was a Pioneer product, but I think NEC Home Electronics also put it out, too. What was the thinking at NEC behind those sorts of collaborations at the time? K: By the time the LD-ROM² came out, I wasn’t involved in such things anymore, but generally speaking, NEC was just the sort of company that would give most anything a shot if they had the means to do so. In the post-Famicom age especially, they were really gung-ho about those sorts of experiments. Numa: Was there a time during your work on the PC Engine that you recall as being especially exciting for you? K: Hmm… Not that it wasn’t an exciting time to work on it, because it certainly was, but the thing that sticks out to me about the PC Engine looking back on it now is how it slowly, but surely grew up to be its own thing in the world of video games. I mean, eventually, a number of magazines were founded that were dedicated to it and it got more and more exposure on TV over time. Numa: I’m sure you must be proud of that. K: I am, but the PC Engine only took up about a fifth of my career. (Laughs.) The bulk of it was still in PCs. While their work on the PC Engine might not have been their primary focus in the grand scheme of things, it’s not the only game-related hardware with which K was involved in creating. They also helped with planning on the PC-88VA and wrote its BASIC language interpreter. People who know their PC history will know the PC-88VA as a 16-bit computer with sprite functionality embedded in the hardware, making it a rather game-friendly computer. Numa: After it’s all been said and done, do you think NEC made the right choice by getting into the game hardware business? K: I’d say so, yes. There’s certainly a long history of turning PCs into video game hardware in general. The PC Engine wasn’t even our first real foray into that arena in a sense. The PC-8801mkIISR before it was certainly built with video games in mind. Numa: That’s a good point. In that sense, the PC Engine is a spiritual successor of sorts, part of NEC’s computer lineage. It goes without saying that you can make the best game hardware in the world, but it’s nothing without a good lineup of software to back it up and the PC Engine was no different. NEC wasn’t content to leave actual game development system solely to third parties. To that end, it did things like establish NEC Avenue in order to make its own mark on the platform. Nevertheless, in addition to Hudson’s significant contributions to the system, when it came to third parties, companies like Konami and Sega were also critical to the success that the platform enjoyed. K: You’re not wrong. Konami came on board by way of Hudson, who they were plenty friendly with and shared deep business ties. During the PC Engine days, NEC ranked and prioritized its third party developers in various ways. Konami was considered to be among the top of the heap and got really preferential treatment when it came to the contracts we shared with them and the like. Numa: Sega also had a noticeable presence on the PC Engine with some of its tent pole titles like Space Harrier. K: Games like that were what NEC Avenue tended to take on. If, say, we couldn’t risk putting a game out through our main brand or something other circumstantial reason prevented us from more directly putting something out, then we’d turn to NEC Avenue and have them take the project on. 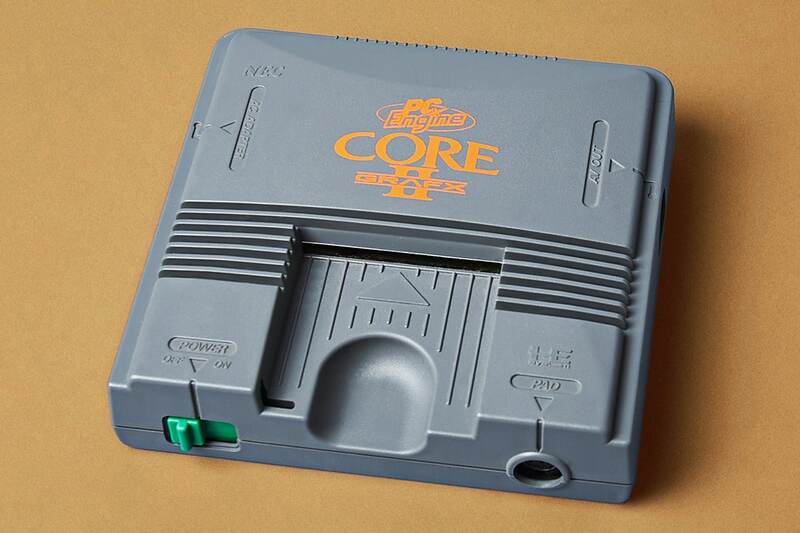 While the PC Engine managed to carve its own place in the marketplace, eventually, change was in the air as the industry transitioned into a new generation of hardware. In 1991, K was put in charge of the PC Engine Duo, a hardware revision designed to be essentially the complete and total package for the PC Engine experience. After helping plan out what would come next for the system after that, they returned to working at NEC’s headquarters. Meanwhile, in the wake of NEC’s PC-88VA, the company sought to collate its efforts in 16-bit computing with the realization of the PC-9801. For their part, K was once again involved in planning the PC-98DO, which was backwards compatible with PC-8801 programs, in turn helping the company unify the resources it had built up for its previous generation of computing hardware. Numa: The concept of the core structure for the PC Engine had a lot of potential, I feel like. Was there anything more you wish you could’ve achieved with it if you’d had the opportunity? K: Overall, I think we did a good job of showing what the PC Engine could offer as an expandable computer terminal of sorts for homes. But, I will admit that I’d wanted to give it additional communications capabilities, like how Nintendo managed to make the Wii an early networked device that worked within the confines of the living room. The problem on our end was mostly one of timing. 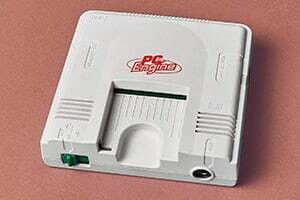 During the PC Engine’s life cycle, computers were moving away from directly communicating with one another to operating over more widespread networks and ultimately the Internet. We were just a little too early to create a machine that could both be hooked up to a TV and readily do that sort of networked communication. Numa: This is just a hypothetical question, but if the PC Engine had fared better overseas, do you think NEC would’ve committed to making a successor to it? K: The main reason why there was no proper successor to the PC Engine, to put it simply, is that we just weren’t able to come up with a polygonal graphics architecture and accompanying development environment for a console that developers would find compelling. It wouldn’t have been enough even to just take existing PC graphics technology and slap it inside a console frame. We needed an external partner to make it work, but we were never able to find one. And it couldn’t have just been any old company, either. We needed a defining piece of technology for a successor that could justify its existence and hardware like the CD-ROM technology did for the PC Engine, but we just didn’t have it. We didn’t have any more secret weapons we could rely on to make that critical dent. Numa: If you were to summarize what the PC Engine meant to you and the company, what would you say? K: That’s a tough one. There are a lot of angles you can take to look back on it. I guess I’ll say that if it wasn’t the PC Engine, NEC Home Electronics wouldn’t have existed for as long as it did for those five years. The thing to remember is that when it was founded, the center of the home electronics business was quickly moving towards Taiwan and Southeast Asia. If the business was to stay within Japan, it had to be capable of producing something that couldn’t be made anywhere else. And in that sense, I think they made the right move for the time to make NEC Home Electronics the game console manufacturing arm. Numa: It’s hard to ask for much more than as one of the designers behind it, I’m sure. Thank you for taking the time out of your busy schedule to come talk to me today. As I put the final touches on this article after interviewing K, I’d like to express my gratitude for this opportunity once again. Many thanks to K for sitting down with me and having this long conversation. While we sometimes got on a tangent about their work on the PC88 line of computers, seeing as they were in charge of that as well, I feel that, overall, this interview covered a lot of interesting ground about the PC Engine’s inception and progress as time went on. It’s the first time I’ve ever put together an interview like this, but I’m really glad I did now, so that these memories could be preserved for posterity. And on that note, I’d like to conclude by asking all of you readers to think about how you, too, can help preserve game history. Big or small, it all matters in its own way. Posted in Articles, Japan, Posts.